Volkswagen Tiguan Allspace Performance, Engine, Ride, Handling | What Car? 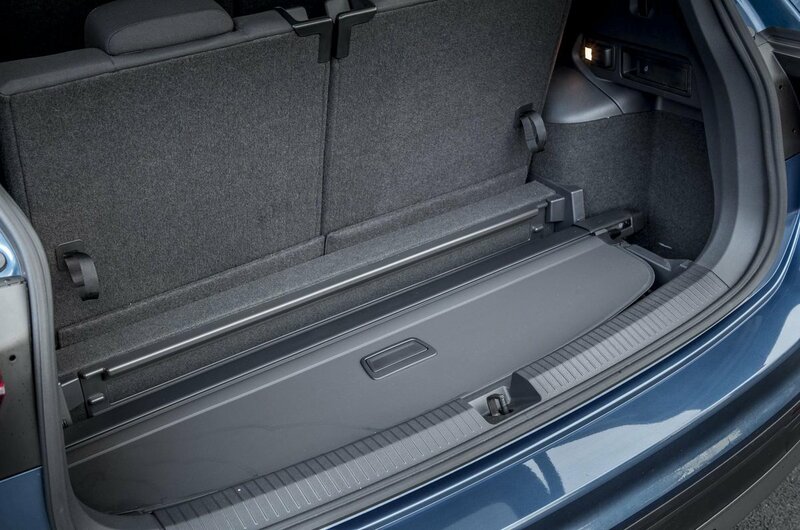 With no mechanical differences from the standard Tiguan, the Tiguan Allspace offers a very similar driving experience. 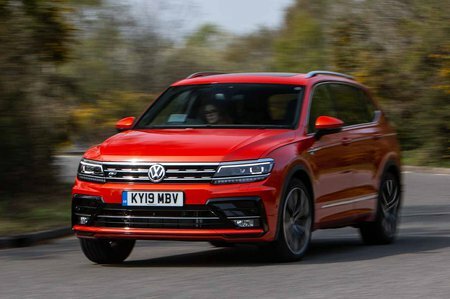 The best-selling Tiguan Allspace is the 148bhp 2.0-litre diesel model (badged 2.0 TDI 150) and it's easy to see why; it offers a fine blend of performance and fuel economy. There's also a 2.0 TDI 190 engine that delivers plenty of punch but is rather pricey, while the range-topping 2.0 BiTDI 240 unit brings yet more pace for an even more eyebrow-raising price. If you’re more interested in petrol power, the 1.4 TSI 150 engine is the cheapest in the line-up and a fine choice if you’re a low-mileage driver, but it does lack the low-rev pulling power of the diesels. The 2.0 TSI 180 feels quick but needs a few revs to perform its best. Again, it lacks the in-gear flexibility of the diesels. By SUV standards, the Tiguan Allspace rides very well. It smooths over bigger imperfections, such as speed bumps, better than the Skoda Kodiaq, yet the suspension is still firm enough to stop the body from bouncing up and down too much along undulating roads. 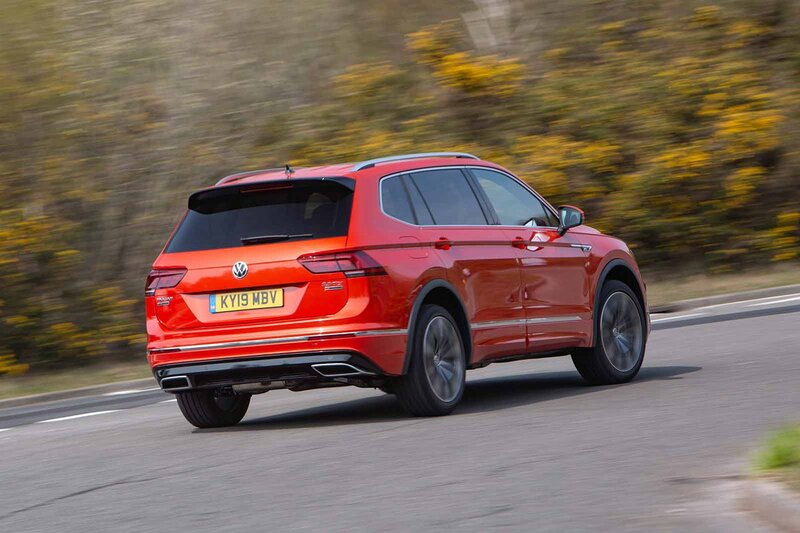 Patched-up roads and broken Tarmac can unsettle the car a little – especially if you choose a version with big alloy wheels – but, compared with its key rivals, the Tiguan Allspace is comfortable. We wouldn't bother with the optional adaptive suspension. It doesn't improve the ride that much and there are more worthwhile extras to spend your money on. The Tiguan Allspace handles more like a conventional hatchback than many of its SUV rivals; it's genuinely enjoyable to drive. Some might feel the steering is a little too light, but it’s at least precise, making the car easy to place on the road. There isn't too much body roll through corners and all versions have plenty of grip, although the four-wheel-drive 4Motion models unsurprisingly offer better traction in slippery conditions. True, the BMW X1 and Seat Ateca are even more agile through twisty roads, but the Tiguan Allspace outshines most other family SUVs, including the Nissan Qashqai and Kia Sportage. 4Motion models add a dial next to the gearlever that allows you to select different modes depending on the terrain and initiate a hill descent system. A further option is adaptive chassis control – this allows you to stiffen or soften the suspension to prioritise either ride comfort or flatter handling. Even so, you’d have to be pushing very hard to notice the reduced body roll that the adaptive damping brings. The petrol engines are especially smooth, even when worked hard, and while the diesels sound a bit clattery at tick-over and when you really put your foot down, they're muted at a cruise and far from raucous when accelerating. The higher-powered diesels are a little noisier than the 148bhp variant, but all are among the best in their class for noise. At high speeds, you will hear a flutter of wind noise around the Tiguan Allspace's door mirrors, but virtually no road noise unless you opt for a version with really big alloy wheels. The manual gearbox is light and easy to use, while the DSG automatic ’box is smooth and soothing the vast majority of the time, but can occasionally feel a bit hesitant if you’re trying to make progress quickly.